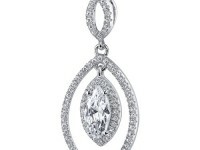 A majestic design, inspired from Art Deco style jewelry, exotic and ornate, full of fire this lavish pendant has heirloom charm. 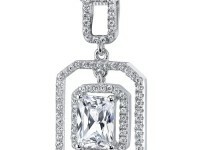 The dazzling pendant is crafted from pure .925 Sterling Silver and is enriched with a fine, glowing Rhodium Plated Finish. 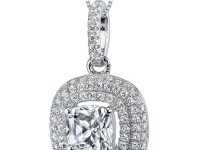 The pendant features geometric shapes, showcasing sparkling gems with well defined, smooth trimming that gleams in an enhancing, lavish White Gold tone. 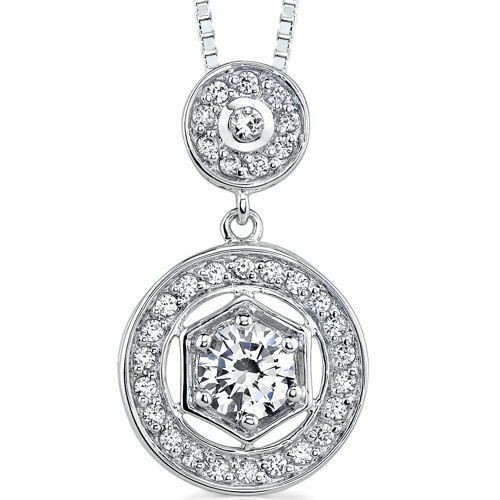 The openwork hexagonal gem-encrusted frame encases a 7mm Prong set Round Brilliant-cut White CZ Diamond and is molded into an open bejeweled circle that is gently suspended from a gem-studded bail, Pave set with White CZ diamond accents. 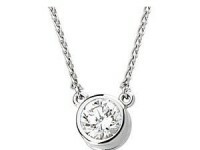 The hidden bail fits perfectly on a Sterling Silver Box Chain, secured with a spring ring clasp. 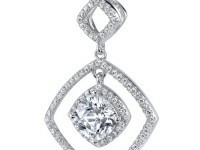 This is an ideal bridal accessory that has both class and sass. 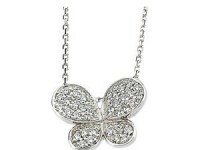 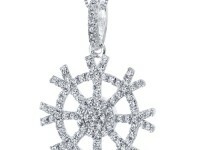 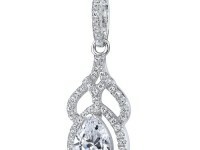 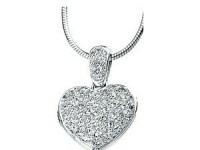 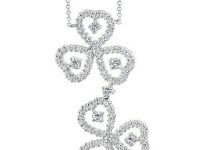 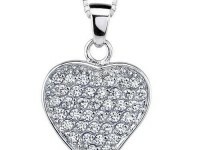 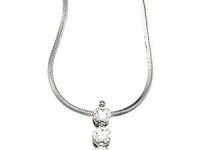 Glamour, Elegance and a Promise of a budget friendly accessibility defines this gorgeous pendant.